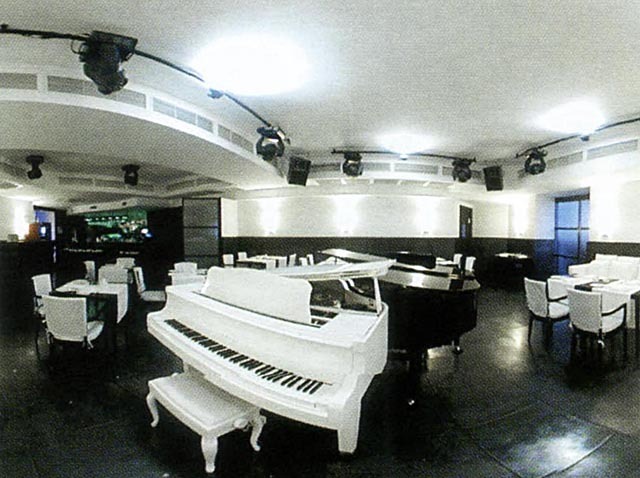 One of the most fashionable venues at the moment, Aquarelle is a new idea for Ukraine, a piano-restaurant. Conveniently located within the President Hotel Kyivsky, Aquarelle has two halls, one the main eatery with a bar, the other more of a lounge bar with two grand pianos. Every evening enjoy a winning combination of live music and background lounge music. Try the chef’s delicious home-made pasta, and an average a la carte dinner will set you back USD 40.